Okay I already featured the costumes from the web that I loved this year for us gals. Now it's the gentleman's turn. These are a few of my favorites some for creativity, some for genius application of makeup, and others just because they are pure fun! I also discovered while looking for costume ideas for my husband that men DIY costume ideas are actually kind of difficult to find. 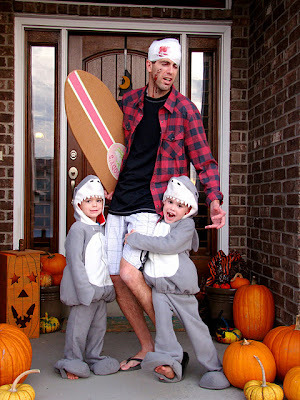 What are the men in your life dressing like this year? SHARK ATTACK!!! How creatively genius is this idea from tHe fiCkle piCkle. 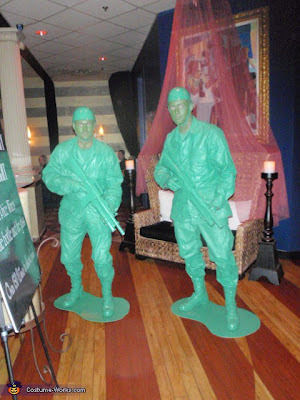 Perfect costume for dad's of little boys. I simply love it, and this one is for sure going in my own Halloween ideas! This guy is a pro he simply must be. I couldn't get over how well down the makeup and costume are. 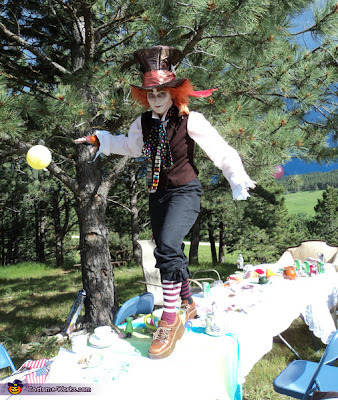 It's an darn close to perfect match to Tim Burton's Alice in Wonderland's Hatter. I found this guy over at Costume Works. Also found these adorable toy plastic army men over at Costume Works. I give this duo and A+ in the creative department! This would be great to add in to a group of Toy Story costumes. 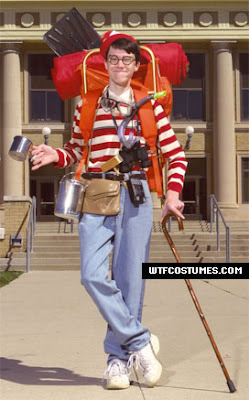 Lastly is this Where's Waldo from wtfcostumes.com. This Waldo goes above and beyond the striped shirt and hat. This guy is for sure a spitting imagine of Waldo. I am loving all the effort he put into his costume!